DeHart & Hill Electric, Inc. is locally owned and operating in Georgia. We are licensed, bonded and insured to service the Buford and surrounding areas. We offer a warranty with a 100% satisfaction guarantee. DeHart & Hill Electric, Inc. offers great customer service, with reasonable rates and great dependability in Buford. All employees are trained and qualified to do any electrical job, big or small. 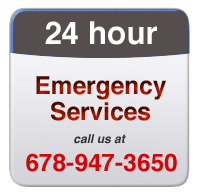 We also offer 24 Hour Service that is here to help you with your immediate needs. Just a phone call away, we can be there to give attention to your electrical problems within one hour of your call. You can call anytime, day or night, and be in contact with us. We focus on what's important to you and your family in Buford. As professional electricians, we do everything from basic troubleshooting or changing out a switch to installing generators or new lighting in your kitchen. With DeHart & Hill Electric, we guarantee that your electrical system workmanship will be performed at the highest standards and with professional integrity. We specialize in custom lighting packages so that your kitchen, living room, or even front porch will be the talk of all your friends and neighbors in Buford. We also offer Electrical Panel Inspections and Whole House Electrical Safety Inspections in Buford. Our electrical workmanship is the highest professional quality and fully guaranteed. DeHart & Hill Electric services include both residential and commercial electrical work in Buford. Our knowledge in the electrical field and our desire to satisfy our customers sets us apart in Buford. Service is our #1 Priority, if our customers in Buford are satisfied, we are satisfied. With us you won't be just another number, but a family member. Call today and let us show you how important you really are! 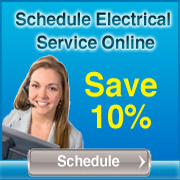 Our prices are very competitive and our electrical work is the best in the Buford area. get your electrical repairs quoted and completed. We are the Best licensed electricians in Buford and we are ready to help you. At DeHart & Hill Electric, our electrical services for your home or business include lighting for outdoor landscaping, recessed lights for your kitchen and many other types of lighting throughout your house. Items include hanging pendant fixtures, chandeliers, new or refitted recessed lights and new receptacles. We can install dedicated circuits, new panels, breakers and switches. Have you purchased any new light fixtures or ceiling fans you would like installed and have it done properly? Call us for those replacements or repairs. Need electrical circuits installed for new swimming pools, hot tubs, or other water features? We can install these professionally and in a timely manner. DeHart & Hill Electric offers electrical services for heating and air systems, fans, and kitchen appliances such as dishwashers, garbage disposals, refrigerators or other items needing connections and or new circuitry. Call us immediately if you hear popping noises in your switches or circuit breakers or see any signs of smoke coming out of your light or electrical outlets. We can troubleshoot and repair any type of lighting issue or failing breakers. Dehart and HIll Electric offers services to both homeowners and businesses, including building contractors and include installing or repairing electrical breakers or panels, switches, meters and other electrical related issues. We can rewire part or all of a home or business and repair any water damage that may have occured. Offerering electrical services for new construction, residential, commercial or industrial installations. Call us today for a free consultation or to set up an appointment for a free estimate. DeHart & Hill Electric has proudly served Buford and surrounding neighborhoods for many years now. We are familiar with the common issues and concerns typical of the older homes in the Buford area and have a great reputation among the Buford community for outstanding service. If you live in Buford, chances are that we have done electrical work on your street or for your neighbor. If you need a great electrician, give us a call. We are experts in electrical service and repairs including recessed lighting, troubleshooting, flood lighting, electrical panels, and flat screen TV installations. Of course, there are many electricians to choose from and picking the perfect company can be difficult. If you are looking for the best electrician in Buford, look no further! We are a professional, licensed and insured electrical contractor. Don't put your family at risk by using anyone else. Call DeHart & Hill Electric today!